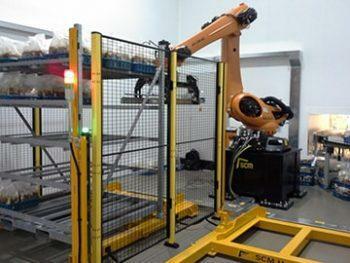 Robotic Material handling will enhance the efficiency of your line, better the quality and high speed. Also, the most common applications include: sorting, machine tending, press tending, part transfer, case packing and palletising. Hence, any object of any size or shape can be handled by the robot by simply adjusting the robot programming and the end-of-arm tooling. The majority pick-and-place robots and also the 6 axis robots are equipped with internal sensors and industrial control systems which help them to perform operations with success. Robotic automation tends to be cost-saving and quick return on investment, when you work together with a system integrator or robot integrator with vast expertise. The majority of the integrators can prove with real cases studies their robot integration projects. 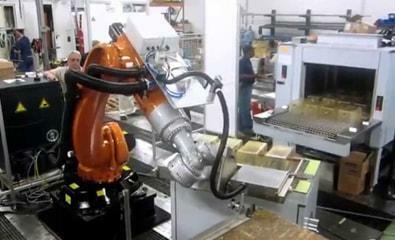 A system integrator will be happy to share with you their success on automation.